Are you looking for the medium-telephoto lens for everything from portraiture to sports, the fast Sigma 85mm f/1.4 EX DG HSM Lens is a great solution. This large aperture lens is designed with an SLD (Special Low Dispersion) glass element and a glass mold element to yield exceptional first-class, sharp, high contrast image. 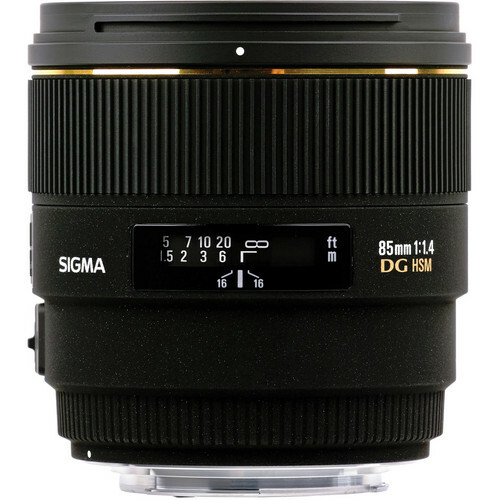 The 85mm f/1.4 has Sigma’s HSM (Hyper Sonic Motor) which provides quiet, fast, accurate autofocusing. The exterior of this lens has EX-finish which translates to a superior build and optical quality, as well as enhanced handling and appearance. It comes with a beautiful petal shape hood to block flares. A dedicated hood adapter for APS-C size image sensor cameras is also supplied to expand the length of the hood for blocking flares effectively. Sigma’s New 85mm F1.4 EX DG HSM lens is a large aperture lens ideal for portrait and low light photography. This fast f/1.4 lens is great for recording fast moving images, which allows you to use faster shutter speeds when shooting under low lighting conditions. This highly efficient lens has a nine blade circular diaphragm for creating pleasant bokeh which is desired by portrait and wedding photographers. Designed with using SLD glass and a glass mold element to achieve excellent color by correcting all types of aberrations. It is equipped with a rear focus system that minimized fluctuation of aberration caused by focusing. The the Super Multi Layer Coating minimizes flare and ghosting even in backlight photography. 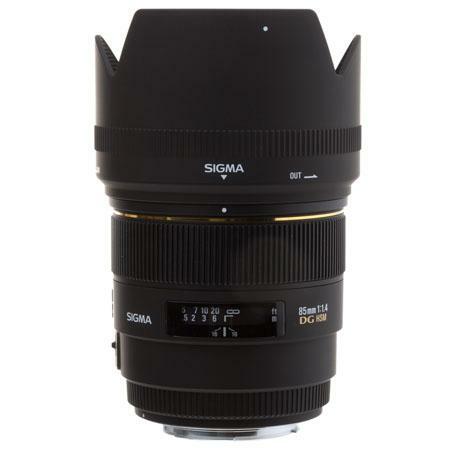 Also check Sigma 35mm f/1.4 Art lens. 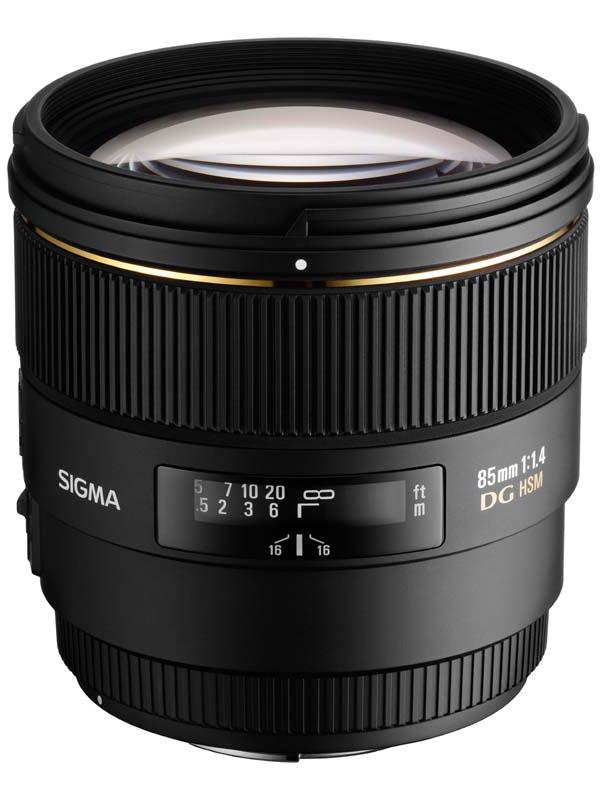 February 21, 2010: The Sigma Corporation is pleased to announce the new Sigma 85mm F1.4 EX DG HSM. This large aperture medium telephoto lens optimized for use with digital SLR cameras features a focal length of 85mm, ensuring a natural perspective. The large aperture of F1.4 is especially ideal for portrait and low light photography. When used on digital cameras with an APS-C size image sensor, the lens effectively becomes a 127.5mm F1.4 lens. One SLD (Special Low Dispersion) glass element and one glass mold element give excellent correction for all types of aberrations and ensure superior optical performance. This lens is equipped with a rear focus system that minimizes fluctuation of aberration caused by focusing. The Super Multi-Layer Coating reduces flare and ghost even in backlight photography. Incorporating HSM (Hyper Sonic Motor), this lens provides quiet and high speed AF as well as full-time manual focus capability. It features a minimum focusing distance of 85cm and a maximum magnification 1:8.6. This lens has a round 9 blade diaphragm which creates an attractive blur to the out of focus images. This lens is supplied with a Petal-type hood to block out extraneous light. For digital cameras with an APS-C size image sensor, a dedicated hood adapter, which expands the length of the lens hood, is supplied and enables the hood to block out extraneous light more effectively.